The world has a drug problem! It’s getting so bad that the United Nations held a special meeting last September to discuss it. It was only the fourth time ever the UN called a high-level meeting on a global health issue. 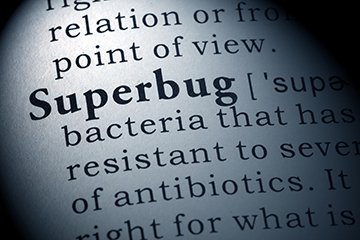 This time, the delegates discussed antibiotic-resistant infections – superbugs impervious to our current arsenal of germ-fighting drugs. Already, it’s estimated that more than 700,000 people worldwide die each year from drug-resistant infections. And that’s a lowball figure because tens of thousands of deaths from these infections are not reported or are attributed to other causes. One review on antimicrobial resistance suggests that by 2050, 10 million people around the world will die each year from these infections! Drug resistance happens naturally over time, usually through genetic changes. However, the overuse and misuse of antibiotics and other drugs developed to treat microbial infections accelerated this process. Using antibiotics for every little illness, especially for viral infections such as colds and flu, and to promote growth in livestock, are examples of this misuse. After years of doing this, we now have a resistance problem. Why? 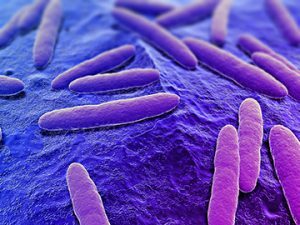 Without getting too technical, the genetic change that makes this bacteria resistant to Colistin can be spread to other strains of bacteria. 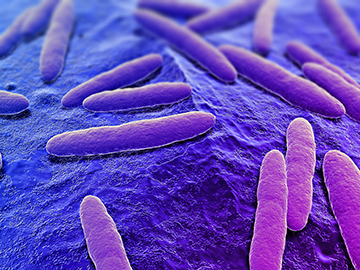 That includes strains that are already resistant to all other antibiotics. That would create bacteria that are totally untreatable with any drug we currently have available. Facing a new kind of drug problem, the world is poised to take on the challenge.